^ "Washington As Public Land Surveyor: Boyhood and Beginnings". George Washington: Surveyor and Mapmaker. American Memory. Library of Congress. Retrieved on May 17 2007. ^ "George Washington: Making of a Military Leader". American Memory. Library of Congress. Retrieved on May 17 2007. ^ Sparks, Jared (1839). The Life of George Washington". Boston: Ferdinand Andrews. p. 17. Digitized by Google. Retrieved on May 17 2007. ^ Ellis, Joseph J. 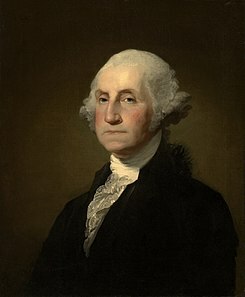 His Excellency: George Washington. (2004) ISBN 1-4000-4031-0. 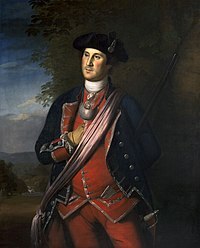 ^ For negative treatments of Washington's excessive ambition and military blunders, see Bernhard Knollenberg, George Washington: The Virginia Period, 1732-1775 (1964) and Thomas A. Lewis, For King and Country: The Maturing of George Washington, 1748-1760 (1992). ^ Acreage, slaves, and social standing: Joseph Ellis, His Excellency, George Washington, pp. 41?42, 48. ^ Washington quoted in Ferling, p. 99. 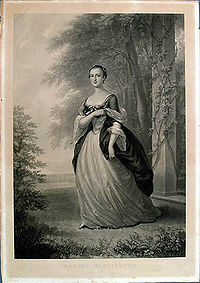 ^ George Washington Papers at the Library of Congress, 1741-1799: Series 3b Varick Transcripts. Library of Congress. Accessed on May 22, 2006. ^ Matthew Spalding, The Command of its own Fortunes: Reconsidering Washington's Farewell address," in William D. Pederson, Mark J. Rozell, Ethan M. Fishman, eds. George Washington (2001) ch 2; Virginia Arbery, "Washington's Farewell Address and the Form of the American Regime." in Gary L. Gregg II and Matthew Spalding, eds. 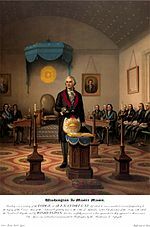 George Washington and the American Political Tradition. 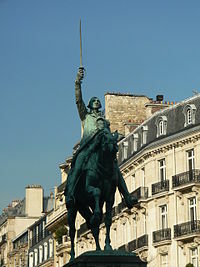 1999 pp. 199-216. ^ "Religion and the Federal Government". 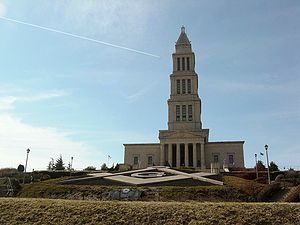 Religion and the Founding of the American Republic. Library of Congress Exhibition. Retrieved on May 17 2007. ^ Slave raffle linked to Washington's reassessment of slavery: Wiencek, pp. 135-36, 178-88. Washington's decision to stop selling slaves: Fritz Hirschfeld, George Washington and Slavery: A Documentary Portrayal, p. 16. Influence of war and Wheatley: Wiencek, ch 6. Dilemma of selling slaves: Wiencek, p. 230; Ellis, pp. 164?7; Hirschfeld, pp. 27-29. ^ フィラデルフィアで2人の奴隷が逃亡した。1人はオニー・ジャッジであり、ニューハンプシャー州で発見された。ジャッジは、ワシントンが署名して法律として成立した逃亡奴隷法によれば、捕まえられ戻されることになっていたが、大衆の論争を避けるためにそうはしなかった。See Wiencek, ch. 9; Hirschfeld, pp. 187-88; Ferling, p. 479. ^ Twohig, "That Species of Property", pp. 127-28.